Seawater contains uranium in surprisingly high quantities that can supply vast energy, if recovered economically. 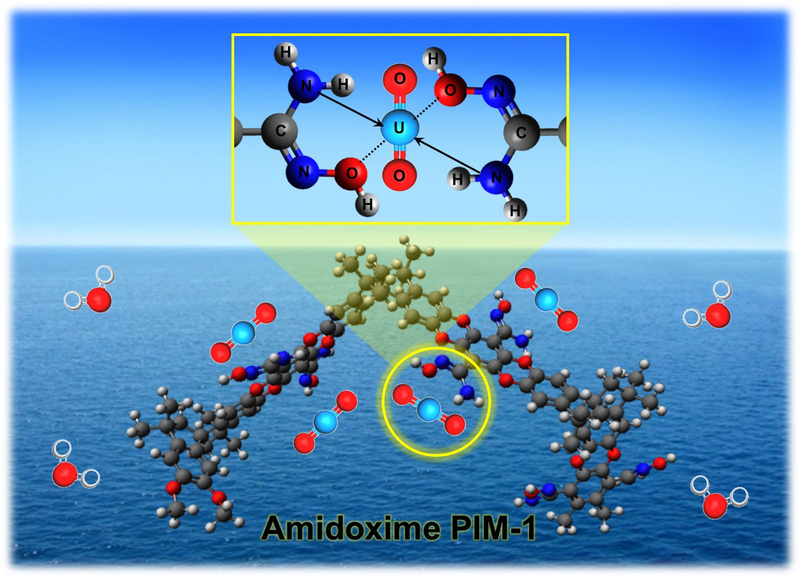 Attempts to design effective sorbents led to the identification of organic functional groups such as amidoximes. 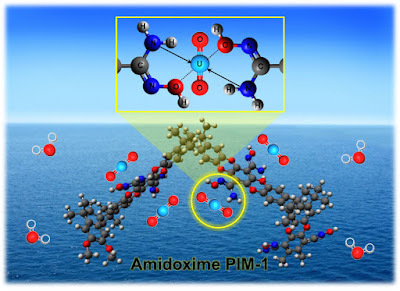 Here we report a porous polymer, a polymer of intrinsic microporosity (PIM) with permanent pores that feature amidoxime pendant groups, which is capable of removing more than 90% uranyl [U(VI)] from seawater collected from the Ulleung basin of the East Sea of the Republic of Korea. From this uptake, over 75% was collected in less than six hours, leading to highly feasible field applications. When the seawater was acidified by bubbling CO2 (pH = 5.4), the uptake increased dramatically. Regeneration studies showed full recovery of sorbents and no loss in capture capacity. Our results indicate that successful uranium recovery can be realized by scalable applications of porous polymeric networks and when low cost CO2 is co-administered, uptake can be significantly enhanced.